Frankfurt - After losing their first five matches of the season and winning their last four, not even the Borussia Mönchengladbach players can explain their startling about-turn in form. "Sometimes crazy things happen in football," said Foals defender Tony Jantschke following Saturday’s 5-1 demolition of Eintracht Frankfurt. "You can’t put your finger on these things." The next challenge facing the man with the Midas touch is a daunting midweek trip to Turin to face Juventus FC in the group stages of the UEFA Champions League. An agonising 2-1 defeat to Manchester City FC on Matchday 2 represents the only blot to Schubert’s copy book, but there is a growing belief that ever-improving Borussia can get something from the game against last season’s beaten Champions League finalists. "The squad is constantly picking up more confidence with each game," acknowledged Gladbach sporting director Max Eberl, who says he has yet to hold concrete talks with anyone regarding the vacant position of head coach. 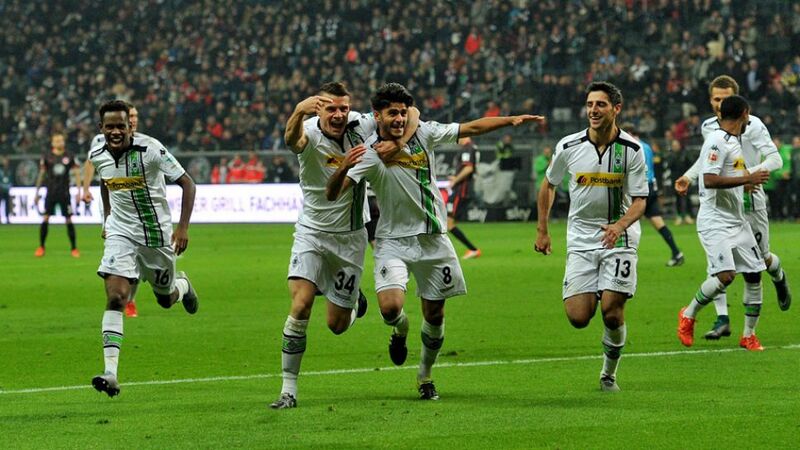 "They believe in themselves, as we saw against Frankfurt. We want to show what we’re capable of [in Turin] and right now that’s quite a lot. Andre is doing an exceptional job."